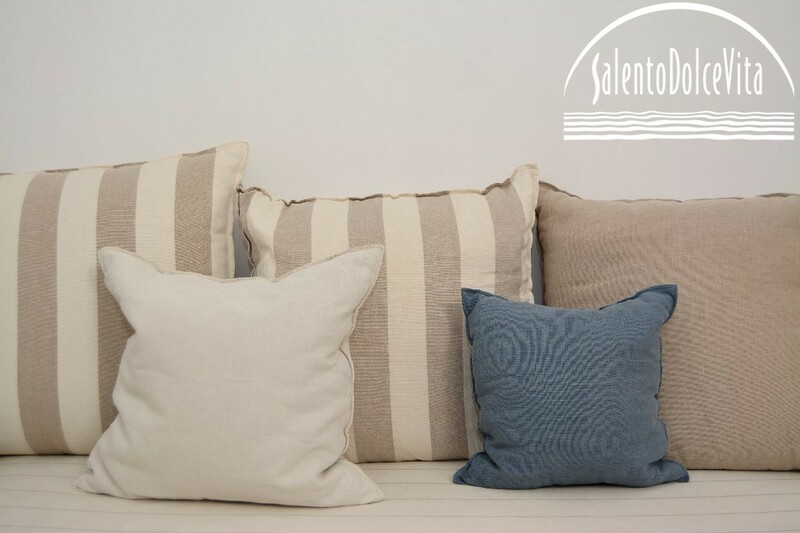 Charmful but affordable ideas to make your home look bigger and classy by the interior designer of the most beautiful villas of Salento. Your house is not huge? You could still have a wine cellar, a home garden, another toilet and a relaxing sitting area in the bedroom! 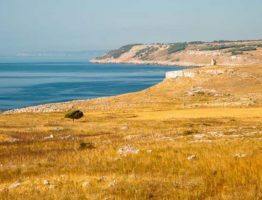 Some examples and some clever ideas come from the interior design of some historic houses and villas overlooking the sea of Salento, south Italy. Let’s see some examples to follow to make your home more chic. 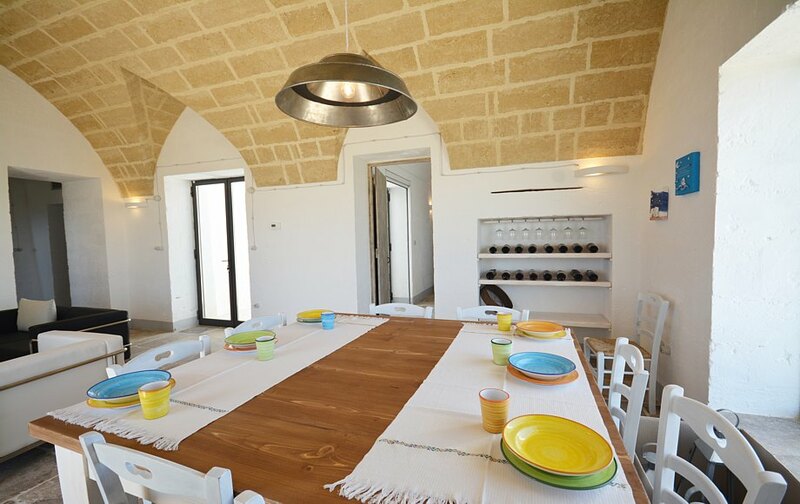 Villa Giada, beautiful villa overlooking the sea of Santa Maria di Leuca, Salento, South Italya, teaches us how we can find a perfect niche to store our wine, in a particularly thick wall. The villa is huge but this is an idea of interior suited especially to most tight spaces, with no underground cellar (that most Italians have), and nevertheless keen to keep their wines in the right position (inclined) and repair it by the rays of the sun and temperature variations. 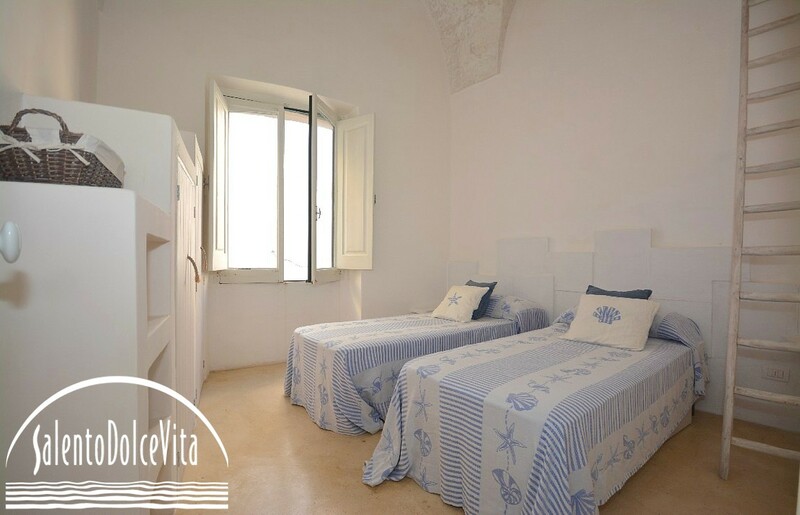 Still in Santa Maria di Leuca, Villa Elia, whose style is always elegant in its simple lines and materials ranging from rustic (kitchen) and urban (living room) that sometimes and blend together (bedrooms), suggests how to keep keep a colorful hanging garden. 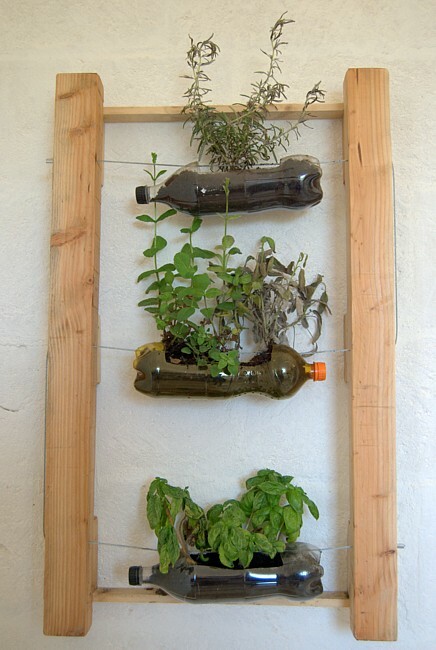 Plastic bottles become vessels from which you can also see what happens under the ground while our plands are budding. Find out what are the benefits of having a garden or spend time in a house with green spaces. Moving on to the ideas for the bedroom, there is the suggestion by house Rivamarina decorators. 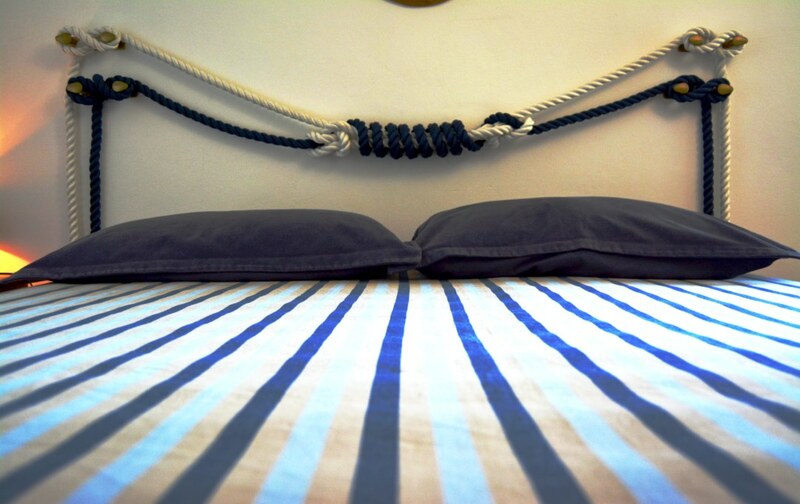 If you don’t love the bed frame or themes that can take away precious centimeters to your room, this home overlooking the amazing sea suggests sailor knots to weave as if they were a precious headboard. 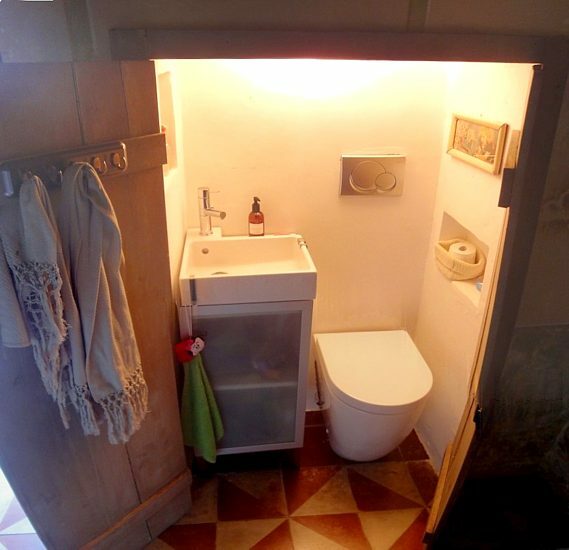 From an old house in a village near Otranto we get a classy and smart idea to have a second toilet even in a very small house. 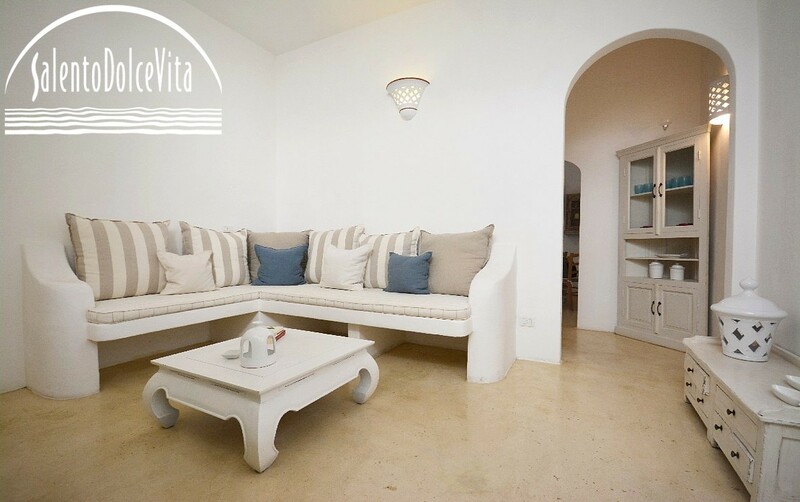 Casa Daniela is a beautiful house of 80 square meters, decorated using every angle to be full of comfort and charm. Here we find a mini bathroom, in addition to the main one, ingeniously “carved” into a niche. Service and sink, even the place for towels and furnishings, win the match against the space to give more comfort and a curious gem to this special home. 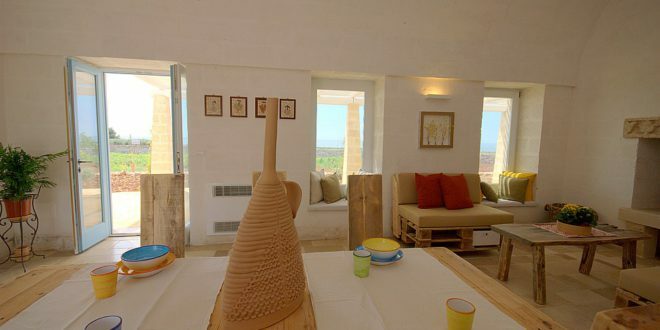 Two other simple yet ingenious and potentially revolutionary ideas for your home come by Casa Opuntia, Beautiful house with sea view terrace, nestled in the picturesque historic center of Gallipoli. 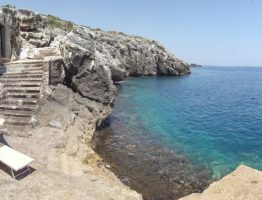 The house, also rich of Salento crafts items, is located a few steps from the sea and is characterized by a typical Mediterranean style. Inside there is a triangular sideboard that teaches us to use wisely the corners of the house. One of its bedrooms, with a small plant but high ceiling, exploits the verticality to recreate a parallel parlor area. It’s like having an extra room, thanks to the height exploited smartly.